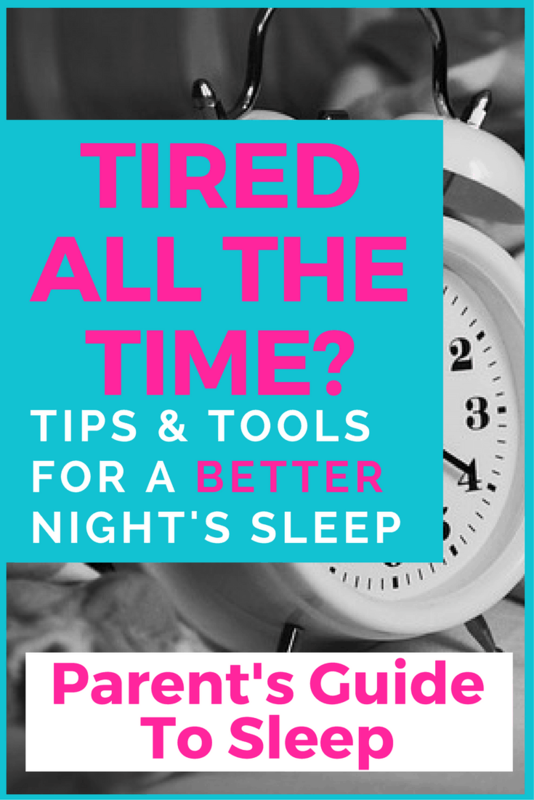 Tips and Tools for Better Sleep - Get the rest your need with these REAL WORLD solutions! Before having children sleep didn’t seem to be all that important. If I didn’t sleep well one night, it was OK, I’d make it up the next night. But after children… oh, it’s a whole different situation! Nothing quite prepares you for the sleepless nights when you first have a baby. Of course, you know before having a baby that you should expect less sleep. But the reality of it is so much worse! There’s a reason why sleep deprivation is used as a means of torture! My children are older now and I’m technically able to get a full night’s sleep. However, the demands of family, working and running a business mean that I don’t get enough sleep. I’ve always loved my sleep. I really need 9 solid hours a night to function properly the next day. However, I don’t remember the last time I got 9 hours of sleep! In fact I don’t remember when I last got 8 hours! There’s a lot of advice about how to get better sleep but most of it does’t seem to apply to real life. Of course we all know we should get 8-9 hours sleep a night, but who has the time for that? So here is some real life advice on how to get a better sleep and wake up refreshed (or at least not exhausted)! This one is tricky but it is important. You need to try to go to bed about the same time every night. By having a consistent bedtime your body will be ready to sleep and you’ll fall asleep easier. The same is true for having a consistent wake up time. I struggle with this one because I’m up at 5.30am during the week, so the last thing I want to do is wake up before 7am on the weekends! But… again, a consistent wake up time trains your body to wake up at the same time and you will feel more alert and refreshed upon waking. You’re basically training your body into a better sleep habit. I’ve talked about the power of habits before, and this is no exception. Good sleep habits equal better sleep. So you know you need to be up at 6am to get the kids to school on time. Rather than guessing at what time you should go you bed, you need to count backwards from your wake up time to figure out when you should go to bed. If you need to get up at 6am, then you should be aiming to be in bed AND ASLEEP by 10pm. It’s no good turning off Netflix at 10pm, because if you are anything like me it will still be 30-40 minutes before you actually climb into bed. Time yourself for a few evenings and see how long it takes you to go through your “before bed” routine. Put the last few dishes in the dishwasher and turn it on. Check all the doors are locked and the lights are off. Check on the kids. Wash my face. Brush my teeth… well, you get the idea! You’ve probably heard the advice that you need to not use a computer, TV, cellphone or tablet at least 1 hour before bed. But why? Electronic screen are bright and give off a light that is mainly in the blue spectrum. This blue spectrum light mimics sunlight. So when we stare at a screen the blue light is delivered straight into our eye and our brain registers it as daylight. The closer you hold the device to your face, the worse it’s affect. Hence, why cellphone use before bed is so bad. By using a cellphone or tablet right before bed you are basically telling your brain – “You need to wake up, it’s day time”! Now you might be saying, “I use my cellphone at bedtime and I always fall straight to sleep”. That might be true. Especially if you are tired, you will probably fall asleep easily. But…. you won’t stay asleep all night! Your brain still thinks its day time outside, so you might be able to sleep for a couple of hours, but then your brain wants to wake back up again! If you find you are having problems staying asleep all night, then you definitely need to look at your screen usage before bed. However, there is a solution to this problem! You can get an app on your phone or tablet that filters the light from the screen and gives it an orange/yellow hue. This is less disruptive to your brain. I personally use Bluelight Filter for Eye Care. This is a free Android app that is easy to use, as various controls and works great at filtering out the brain-frying blue light! iOS devices have a built in feature called Night Shift. You can read more about it here. The best advice is still not to use your cellphone or tablet at least 1 hour before bed… but I said I would give you real-world solutions and that’s not always possible in the real world! This has made the biggest difference in my sleep patterns. I use my FitBit fitness tracker to monitor my sleep. The FitBitCharge 2 has a heart rate monitor that can accurately determine which phase of sleep you are in – REM, light or deep. Each morning I can look at the FitBit app and see exactly how I slept. By comparing different nights I can piece together what things affect my quality of sleep the most. I might think that I have slept well because I was asleep all night, but I feel tired the next day. If I check my app I realize that I stayed in light sleep a lot of the night, so didn’t get the deep refreshing sleep that I needed. Using the app data I’ve discovered that red wine has a huge affect on the quality of my sleep! I don’t drink a lot, but even one or two glasses of red wine gives me a restless night. Look at these cool graphs that the FitBit app gives me! Over the course of an entire week I didn’t get my 8 hours at all (although I was close one night!). I can’t say enough how much tracking my sleep has helped me understand why I always feel tired. It might not be possible for me to control some aspects of my interupted sleep (kids waking me in the night because they had a nightmare). But I can control other aspects – like not drinking red wine or caffeine too close to bedtime. If you are struggling with bad sleep patterns then I strongly suggest you look at getting a fitness tracker that will also track your sleep, such as the FitBit Charge 2. Note: The other popular fitness tracker is the UP by Jawbone. Just a note of warning. Jawbone has discontinued customer support for their products. I had one and it broke after just 3 months. It’s been over a year and I still haven’t got a refund! So please don’t waste your money on an UP product! The last area you need to look at to get a better night’s sleep is your bedroom. Is your room completely dark at night? Even the smallest amount of light can interrupt your sleep. I recommend getting blackout curtains or blinds for all your windows. I even travel with a length of blackout fabric that I can pin to a regular curtain to keep the light out! A dark bedroom is one of my sleep essentials! What about your pillows and mattress? Older spring mattresses can cause pressure points on your body. If you lay on your side in bed, your spin should be completely straight. If it bend to one side or another, then your mattress isn’t supporting you the way it should. I got a memory foam mattress was a wedding present year ago. Although the marriage didn’t last, I still have the mattress! There’s a lot of affordable memory foam mattress options available now. My children have this one from Amazon. It gets delivered in vacuum packaging in a roll! You just cut the packaging open and it pops up into shape! It’s pretty awesome to watch! It’s also a very comfortable bed to sleep on, just as good as my $1,000+ mattress! So what struggle do you face with your sleep? Have you found some ways to help you get better sleep? 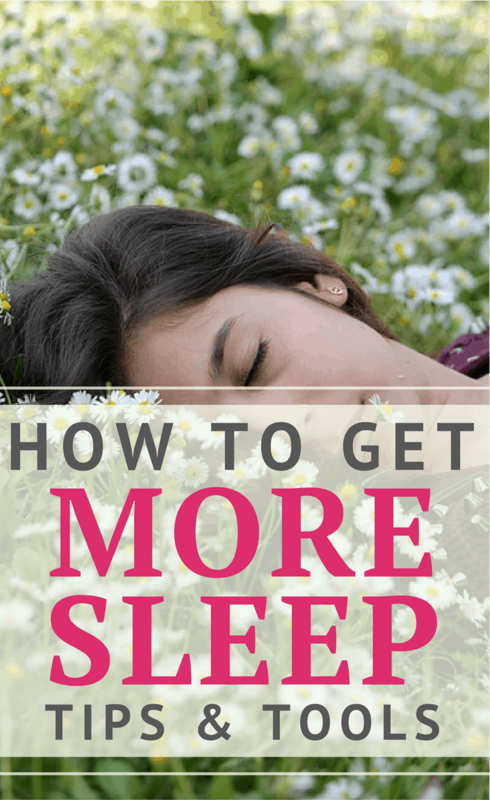 I’m always looking for ways to get better sleep! Please share your ideas in the comments section below. I loved this article! I struggle with sleep too but as you said, my youngest is now 18months old so I “should” be getting enough sleep. However I think I may have to start tracking my sleep because not getting deep sleep is probably one of the reasons I feel tired. And I bet phone, cofee and wine are to blame! It really is a struggle! I know my phone at bedtime is one of the main reasons I don’t sleep well. Cutting back on it’s use is helping as well as the screen filter app.